Perfect for Lovers of Good Food. 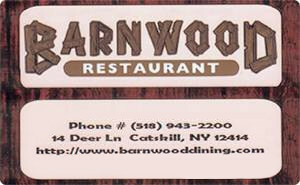 Barnwood Restaurant – Serving Great Food, in a Casual Environment, at Reasonable Prices. 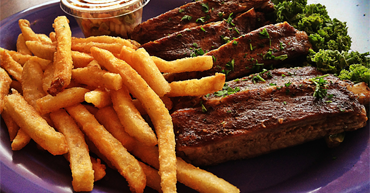 Everything on our menu is homemade to order from the freshest ingredients available! 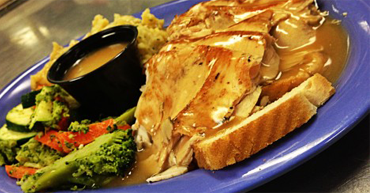 Choose from our famous fried chicken, awesome BBQ, prime rib, meatloaf, hand-battered fish, and delicious pasta favorites. Make Barnwood Restaurant your choice! Stop by for the freshest sandwiches & burgers, brick oven pizza, great fries, hand-battered onion rings, and spectacular homemade sides. The Barnwood serves Lunches starting at 11AM , and Dinners starting at 4PM Daily, with a great draft beer menu and weekly specials.  Check out our daily lunch specials on Facebook!  Dine in and become a V.I.P. Lunch Club member! 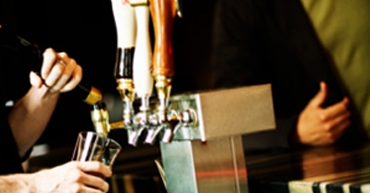  Check out our 26 beers on tap!  Check out our nightly dinner specials on Facebook!  Prime Rib every Thursday night...all inclusive only $17.99!